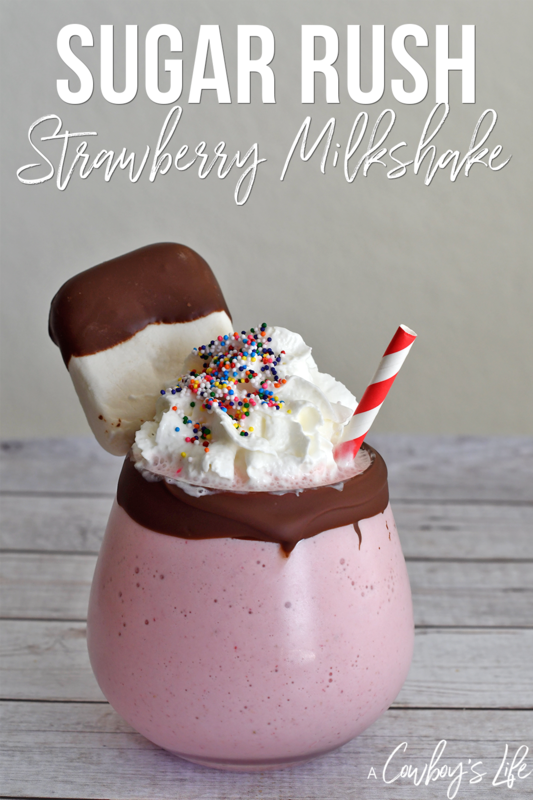 This strawberry milkshake is a favorite with my family. 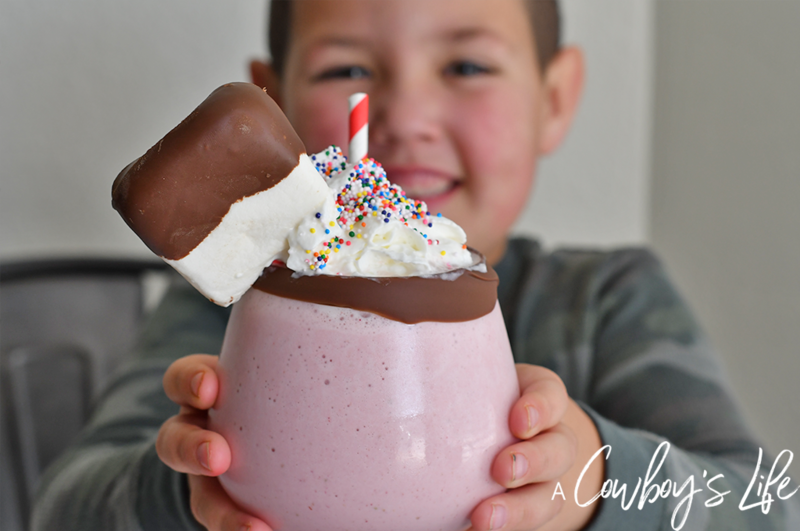 It’s the perfect creamy and thick shake! My family and I recently attended an early screening of Ralph Breaks the Internet and it did not disappoint. My son and I were in stitches almost the entire movie. It is funny, action packed and heartfelt. There are so many one-liners that I know will become part of my sons dialog! Ralph and best friend Vanellope von Scheetz leave the comforts of Litwak’s arcade in a heroic attempt to save her game, Sugar Rush. Their adventures takes them to the internet where they rely on the citizens of the internet–the Netizens–to help navigate their way. One of the highlights in the film is Shank, played by Gal Gadot. I remember her from the Fast and Furious movies, so it was fitting that she’s got mad race car driving skills in the show. What I love the most about this movie is the friendship that continues to grow between Ralph and Vanellope. We watch how Ralph deals with his insecurities and explores a change of pace in life. There are several scenes with the classic princesses that I absolutely adore. It’s witty, hilarious and their outfits are greatness. And I want several of the shirts they were wearing! Be sure to stay until after the credits for a couple extra scenes – you won’t wan to miss them. With the scene of Vanellope driving through Sugar Rush, it inspired me to make my own Sugar Rush dessert. 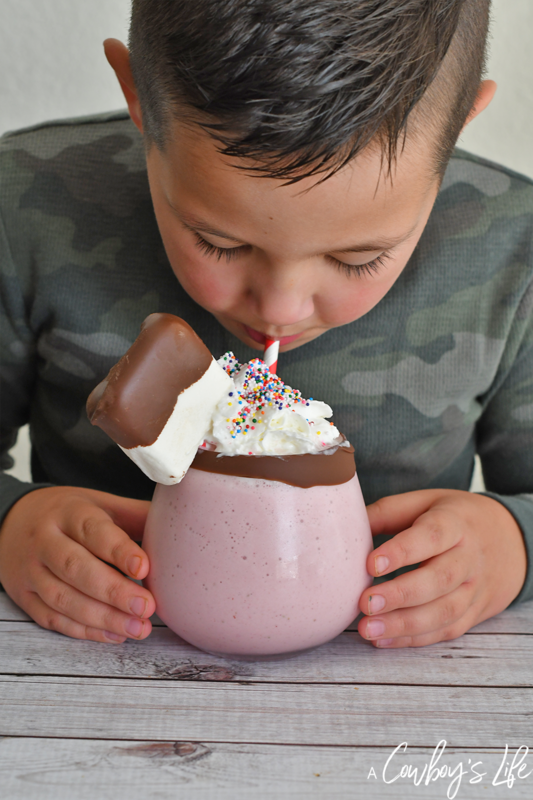 This Sugar Rush Strawberry Milkshake is sure to get the approval of our girl Vanellope! Melt chocolate in microwave and dip rim of glass. Place glass in freezer while blending milkshake. In blender, add strawberries, ice cream and milk. Blend until smooth. Add a dollop of whip cream and top with sprinkles. 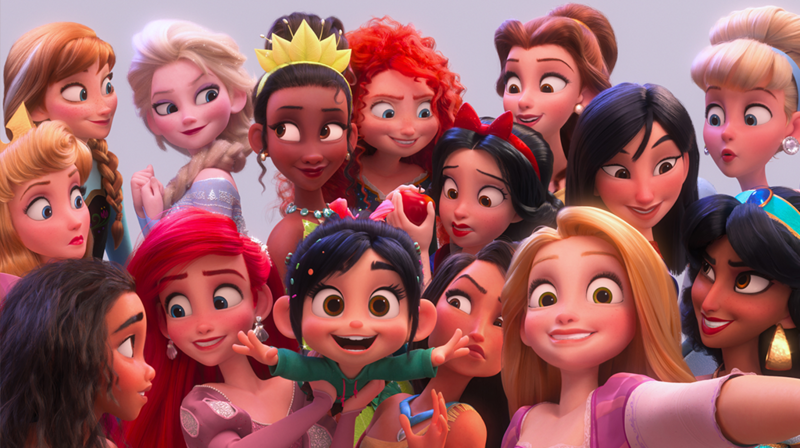 Ralph Breaks the Internet opens in theaters November 21 and is a must see! The kids are on Thanksgiving break and it’s the perfect family friendly movie to the kiddos to.